About Me: I'm married to my beautiful wife Naomi Hernandez, I have one biological daughter and her name is Jasmine Nicole Hernandez. 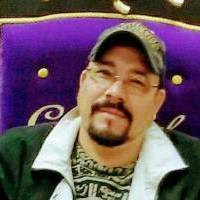 I help my wife Naomi to manage 3 section 8 apartments in three different cities; Fort Stockton, Alpine, and Marfa here in west Texas.I'm also been teaching Soo Bahk Do with the federation approval for over a year now. I teach as a volunteer for the community of Alpine at the multi purpose room at the Alpine Library, classes are Fri-Sat-and Sun. from 4pm.to 6pm for the kids classes beginners 4-5 and intermedia from 5-6 adult classes are from 6-7 beginners,intermedia 7-8 and 8-10 pm is for me 6 hours a week. Interests: Going to church,taking my dogs for walks, going to the movies with my wife and always having different projects at home. Favorite Movies: Dumb and Dumber, The man with two brains, and Risky Business. Favorite Music: 80's greatest hits.